First of all, I am not a qualified medical professional so you will have to consult with your doctor and other health professionals to evaluate health risk associated with Everest Base Camp trek based on your own medical conditions. Trekking to EBC does not require any technical climbing or mountaineering experience. People who have successfully completed this trek have said that you do not need to be a super athlete to trek to the base camp. From my experience, there are three types of health concerns related to EBC trek. The biggest challenge, in my opinion, is the issues related to altitude or mountain sickness. Proportion of oxygen in the air is inversely related to the altitude – higher you go lower it gets resulting in extra strain on all bodily functions. Sherpas – the indigenous people are well adapted for high altitude living. Indigenous people living at high altitude have evolutionary modifications to their physiology over several generations increasing their ability to survive at very high altitudes. We, the sea level dwellers, do not have that advantage. Majority of people are likely to suffer symptoms of altitude sickness at higher elevation often resulting in life-threatening health impacts and even death. It is important to understand Altitude Sickness – also known as Acute Mountain Sickness (AMS) and take necessary precautions. In my case, I have a few extra pounds, am a per-diabetic, and have been suffering from hypothyroidism but generally in a good physical shape. I consulted with my primary care physician who conducted several tests to determine my general health and recommended a medicine (Diamox) for preventing high altitude sickness. She also connected me with a travel nurse to get medications for food borne illness and vaccines based on my travel itinerary in Nepal & India. 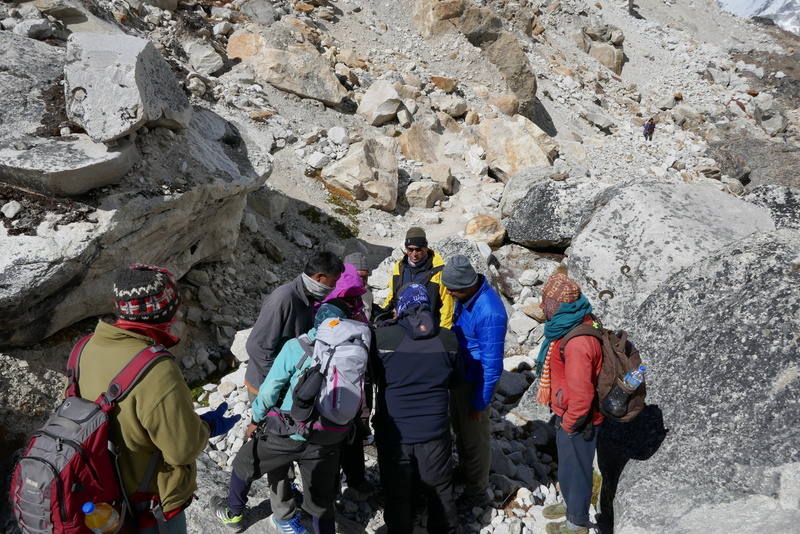 I highly recommend you to connect with your health care provider to get medical advice before going to the Everest Base Camp. I started taking Diamox from the day before flying to Lukla and continued till after I return to Kathmandu. Except my hike to Kala Patthar on last day, I did not feel any symptoms associated with altitude sickness but there were noticeable side effects widely reported by others taking Diamox. First, my sleep cycle was disturbed, I do not recall sleeping more than 2 hours after Namche Bazaar (Day3). The last two nights (Lobuche and Gorakshep) I was up almost all night. Second, I lost my appetite and last three days could not eat anything substantial. I was carrying lots of Snickers, Fruits & Nuts, M&M, and other candy bars and had to force myself to eat one. All of these resulted in loss of energy level right at the time when it is needed the most (Kala Patthar hike). 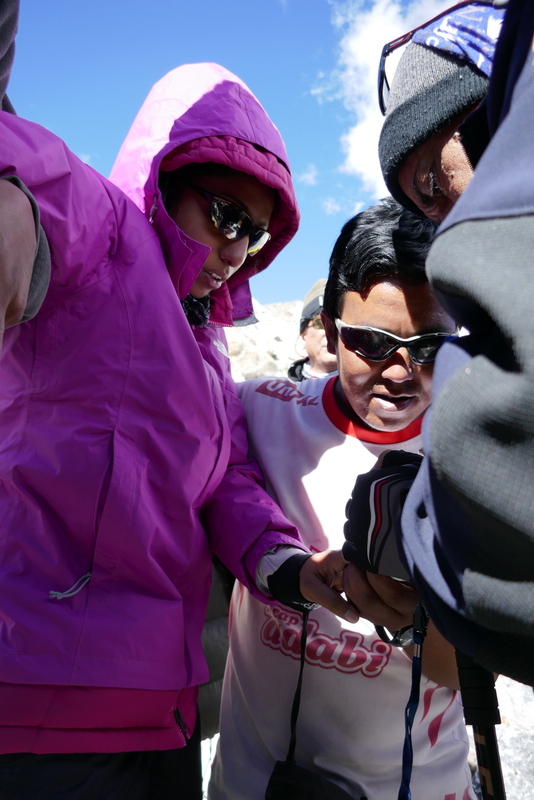 During Kala Patthar hike, I experienced nausea, dizziness and lightheadedness which I believe were caused by Diamox. Kamlesh reported a brief blackout on a strenuous hike to Nagarjuna peak. In our group of six, two of us were on Diamox from the day 1, two joined after Namche, and the remaining two never took any and they were both fine. Kamlesh reported a brief (60-90 seconds) blackout while hiking to Nagarjuna peak, our acclimatization hike at Dingboche while taking Diamox. I guess it depends on your individual physiology and ability to cope with high altitudes. Throughout EBC trek, I heard stories and met a few people who had suffered from altitude sickness. As I reported on Day 8.5, Gorakshep to the Base Camp account, we met an Indian women being evacuated to lower altitude from base camp. I also heard news about medical evacuation through helicopter from my guide Tshering who was plugged into the local sherpa chatters. Himalayan Rescue Association has very useful information about helicopter rescue, altitude sickness, and how to properly acclimatize. I highly recommend reading it before heading to the EBC trek. The key to avoiding such issues is proper acclimatization, drinking five to six liters of water a day (which I did), and keep eating energy rich food. Take your favorite treat with you and force yourself to eat! There are two acclimatization days built into almost all EBC itineraries and it might be helpful to spend an extra day (three nights instead of two) at these locations. Also, taking it slowly while climbing to higher elevation gives body time to adjust – as they say in Nepali “Bistarai Bistarai”. Besides altitude sickness, food and waterborne illness is the second most common health issue during EBC trek. It is caused by consuming food or water contaminated by microorganisms and commonly occurs when food is prepared with untreated water or in unhygienic conditions. Since refrigeration is not common in this remote area, I would suggest avoiding any meat products. A vendor selling meat along the trail in Pengboche. I preferred to eat food that is boiled or well cooked such as boiled potatoes, omelette, soups, and of course Dal-Bhat while on the trek. I use SteriPen (UV water treatment) to treat water while traveling to remote areas where water source is questionable. It only takes a few minute treat a liter of water and so far I have never had any problems with it. You can buy bottled water throughout the trek but price goes up with the elevation and distance from Kathmandu due to transportation costs. Some people use Iodine (or other chemical) treatment but I do not like the aftertaste in treated water so prefer Steripen. All teahouses will have boiled water and you can fill up your water bottles (preferably stainless steel bottles like Klean Kanteen) at dinner time and slide them under your blanket to keep you warm while sleeping and drink it in the morning! They do occur and are certainly the most common problem for hikers on extended treks. They are caused by friction heat (foot rubbing against something in the shoe) and moisture (sweat generated by heat softening skin). Before I flew to Nepal, I developed three blisters in my right foot during my practice hikes in California. 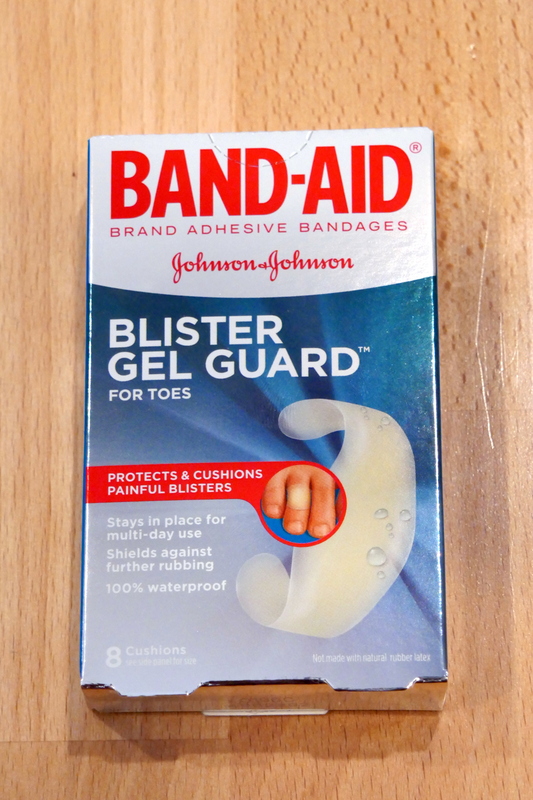 I seldom get blisters so I was wondering how and why it happened. In the past, I have hiked many miles in my Scarpa Kailash GTX hiking boots without any blister problems. The only thing changed was I started using very thick SmartWool hiking socks with liners to get used to them for EBC trek and I suspect that caused blisters. Scarpa has been my favorite hiking boots but they tend to run narrow not allowing enough room for the thick socks and liners. I switched to Vasque Breeze in wider size for EBC trek. I trekked to the Base Camp with two blisters and it was not at all fun. 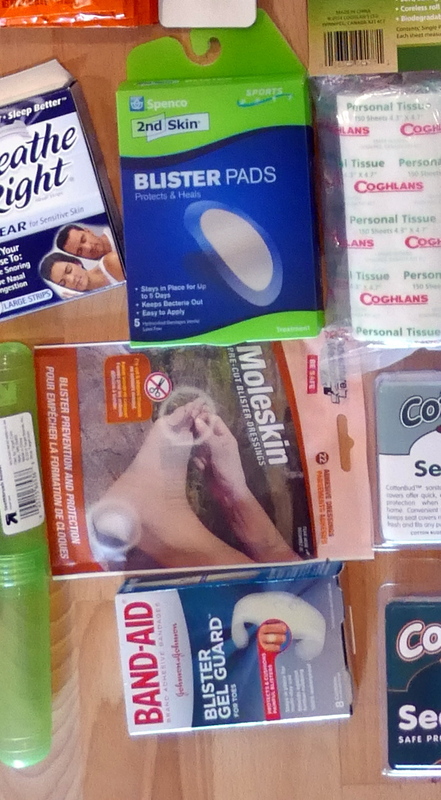 I had to apply Blister pads, gel guards, etc. throughout the trek. Fortunately, they didn’t cause any infection and by the time I was back to Kathmandu they were subsided. I suggest to check out hiking boots with the socks and liners you intend to use for EBC trek and may be go half or a full size up. Also carry blister pads, moleskin, etc. See my Gear and Gifts section for more info. The best way to prevent them is to keep your feet dry, cool, and clean. 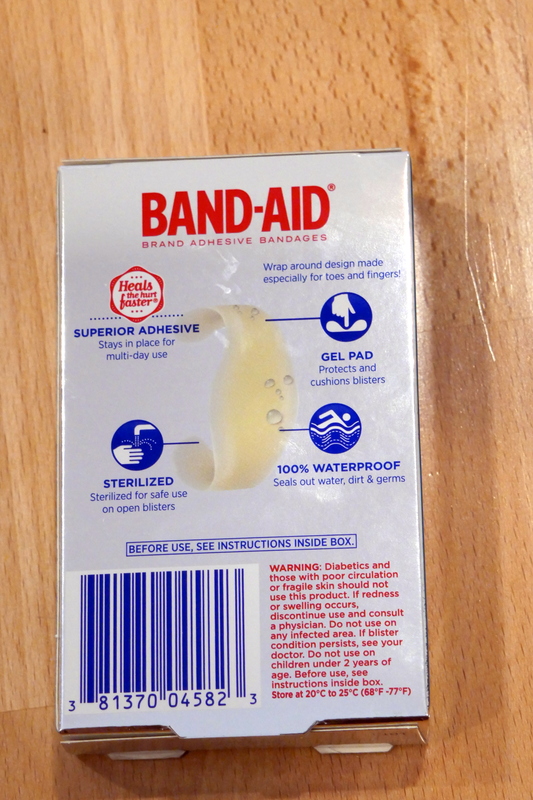 Of all the blister management products I tried, the Band-Aid brand blister gel guard worked the best for me.